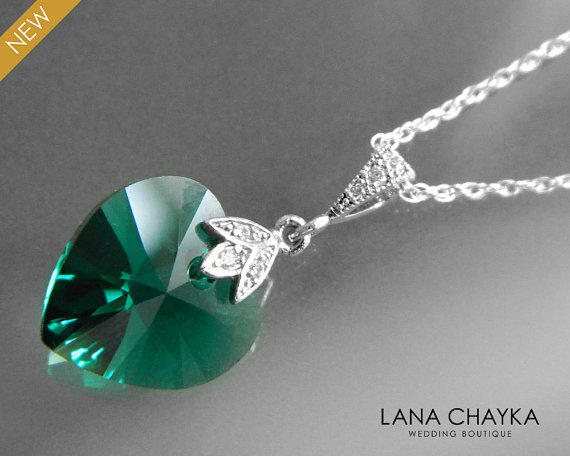 Swarovski Emerald Green Heart Crystal Sterling Silver Cubic Zirconia Wedding Necklace. This necklace is made with a Swarovski 14mm Emerald green heart crystal pendant, tarnish resistant silver rhodium plated components encrusted with clear Cubic Zirconia stones, and 925 Sterling Silver rope chain and clasp. This necklace would be perfect for any occasion!